One marketing strategy that Seven Eleven has used to help reinvent themselves with is the use of brand name meats in their "Fresh-to-Go" sandwich. 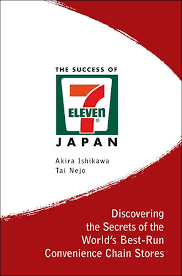 7-Eleven opened its first store over 70 years ago, and was the world's first convenience store, open 24 hours a day and targeting a small percentage of the male population: a place to gas one's car, buy a pack of smokes, and maybe pick up a big gulp and some snacks. According to the Orlando Sentinel, 7-Eleven is in the process of reinventing itself; the Sentinel reported that the number of female customers at 7-Eleven has doubled in the past decade. In an attempt to expand its customer base (specifically to attract more women customers), the corporation is attempting a number of new marketing techniques. Forbes magazine, and ABCNews.com have all documented 7-Eleven's introduction of ATM-like machines that link customers to the Internet, allowing for the purchase of prepaid Internet shopping cards. Much like prepaid phone cards, customers can purchase these cards in varying amounts and then use them like credit cards when shopping online. Intelligence Online Magazine also reports the introduction of corporate-based computer systems (the Retail Information System, or RIS) that provide instantaneous, up-to-date consumer information that better allows store to tailor their retail strategies to customers. For primary research, try to discover what can give female customers motivation to shop at 7-Eleven. Is it simply the “convenience” of location, or do some of the new products and services appeal to these customers? What is the motivation of a female customer at 7-Eleven, as compared to the motivation of its traditional, male clientele? Do 7-Eleven customers display certain personality traits? What is the customer’s perception of 7-Eleven? Paper Masters writes custom research papers on Seven Eleven and looks at when the seven eleven first opened and its clientele.